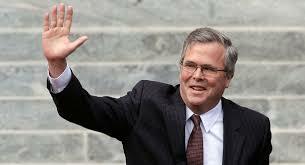 Economic needs should be the priority when allowing in new immigrants, Bush said, as opposed to uniting families. He also called for an end to votes to repeal ObamaCare, in favor of putting forward Republican alternatives. That’s a reasonable approach at a time when the political atmosphere in this country is extremely polarizing.